Kara McKechnie is an Anglo-German, bi-lingual academic with a strong research focus in opera studies. 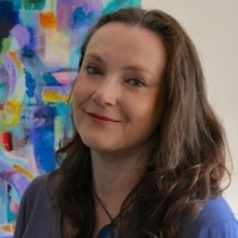 She teaches adaptation studies, new writing, theatre and music education (primary), theatre history and critical contexts and currently supervises three PhD students. She is also involved in many research and public engagement activities with Leeds cultural organisations, including Opera North. Her illustrated monograph on the company "Opera North: Historical and Dramaturgical Perspectives", was published by Emerald in 2014. Kara has also published on adaptation studies as well as television and film studies – her 2007 monograph on Alan Bennett’s television work has received a lot of attention. Other professional experience: freelance work for theatre and opera companies in Germany and the UK as dramaturg, translator, assistant director, stage manager, 1983 to date, including Heidelberg Festival, Heidelberg Theatre, State Opera Stuttgart, Baden-Baden and Ludwigsburg Festivals, Dorset Opera, West Yorkshire Playhouse, Opera North.